Today, Nick is joined by Teddie and Courtney Garrigan, the mother-daughter duo behind Coco & Dash in Dallas, Texas, an ARTS Award-winning home decor shop with an interior decorating arm. Today in The Lounge, Nick talks to Kristi Hopper, a Dallas-based designer with a sharp sense for the business side of things on top of her interior design acumen. Barbara Viteri, creator of Designerlebrity™, talks about producing and hosting this year’s event for the Interior Design Society National Conference in Dallas, TX. 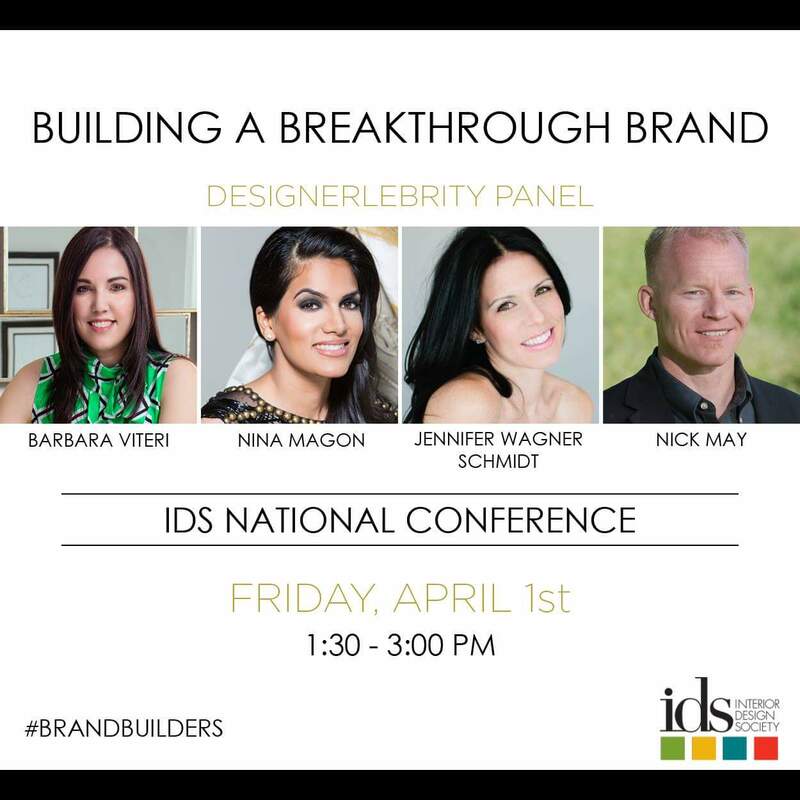 She will be moderating a panel called “Building a Breakthrough Brand” with selected guests, Nina Magon, Jennifer Wagner Schmidt and Nick May of The Chaise Lounge Podcast! Barbara explains how Designerlebrity™ is quickly becoming a pop culture style community fascinated by interior design and transforming into a brand. Her very first concept to create a talk show featuring celebrity interior designers and interviewing them like Hollywood celebrities was picked up immediately by The Design Network. Designerlebrity™ Talk with Barbara Viteri made its debut Fall of 2014. She also became the Interior Design Editor for The Typical Female Magazine and is now focusing on building the Designerlebrity™ brand for public consumption. Nisi Berryman began NIBA Home, a to-the-trade and retail showroom, eleven years ago in the Miami Design District. The Mississippi native and LSU graduate was drawn to New York, where her art history and design background drew her to furniture and the decorative arts. She worked closely with furniture designers in New York, notably Dakota Jackson, before moving to Miami where she served as City Editor of Metropolitan Home Magazine. NIBA Home was launched to provide unique, vintage and exclusive accessories, and later added furniture, lighting and fine art. Though most of her business is in a brick and mortar setting, she also sells on Dering Hall (a high-end site that features products, designers and architects) and is active on social media. Currently NIBA Home sells 25% accessories, 25 % lighting and 50% furniture and art.